In this Monday, Sept. 24, 2018, file photo, a patient undergoes dialysis at a clinic in Sacramento, Calif. 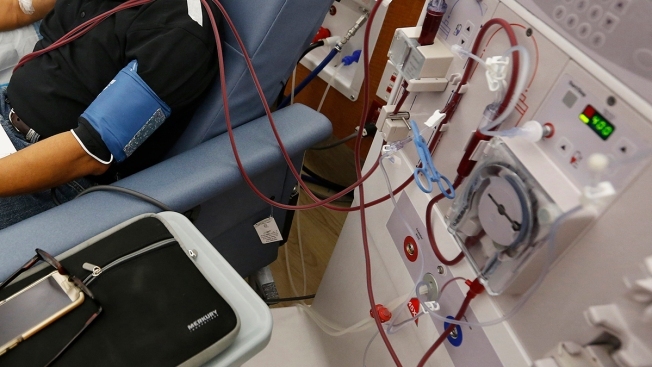 Results of a study released on Sunday, April 14, 2019, show that the diabetes drug Invokana has been shown to help prevent or delay worsening of kidney disease, which causes millions of deaths each year and requires hundreds of thousands of people to use dialysis to stay alive. About 30 million Americans and more than 420 million people worldwide have diabetes, and most cases are Type 2, the kind tied to obesity. It occurs when the body can't make enough or properly use insulin, which turns food into energy.